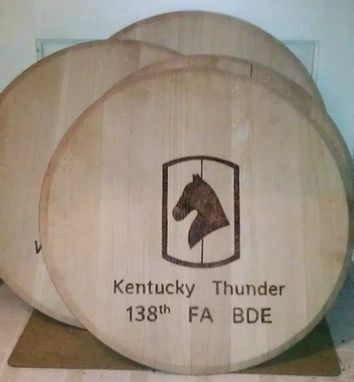 Each barrel head was made for a command in the National Guard. 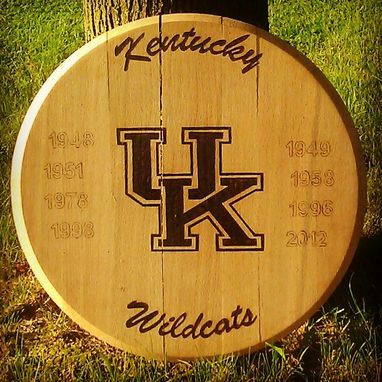 These are hand wood burned decorative barrel heads. 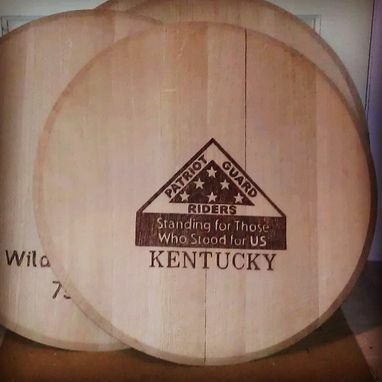 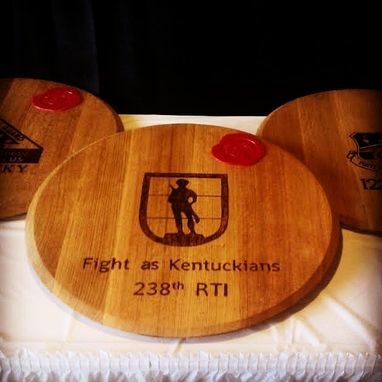 They were each auctioned off at the National Guard Fundraiser in Frankfort Ky in 2013. 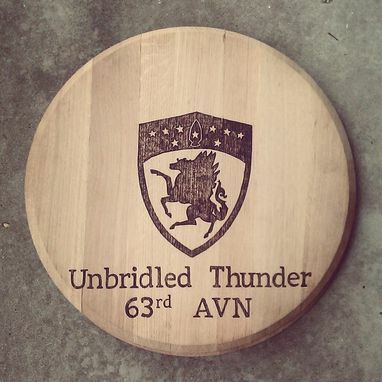 They are a great example of my ability to take a logo or image of your choice and replicate it with precision. 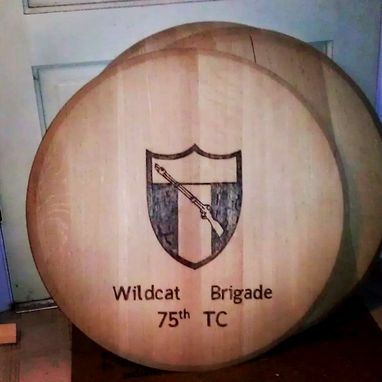 The approximate cost is broken down to reflect each individual barrel head.